Thomas Edward “Tom” Faulkner 78 of Dubuque passed away unexpectedly Friday July 13, 2018 at his home. Friends may call from 3 to 7 pm Wednesday July 18, 2018 at the Leonard Funeral Home & Crematory 2595 Rockdale Road with a memorial celebration service being held at 7:00 pm. Tom was born on November 12, 1939 in Independence, Iowa the son of Ermol and Gladys (Howland) Faulkner. He graduated from the University of Northern Iowa with a master’s in education in 1972, and married Betty Wills on April 2, 1983 at the Lord of Life Church in Dubuque. Upon his moving to Dubuque, Tom began his teaching career at Dubuque Hempstead High School where he was the Media Specialist for 19 years. He established Flick’s Audio Video in 1980 and was a pioneer in audio video production in the Tri State area. He was devoted to the Boy Scouts throughout his life. From achieving the Rank of Eagle Scout at the young age of 14, to receiving the Silver Beaver Award, one of the highest honors among adult leaders. 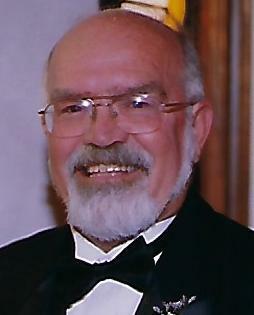 He was also active with the Dubuque Colts Drum and Bugle Corps and served as a Director in 1976. In his spare time, he loved to go fishing and camping, although his greatest passion was spending time with his family, especially his children and grandchildren. He is survived by his wife Betty, his children, Christina Faulkner, in California, Scott (Susan) Faulkner of Dubuque, Jeffrey (Renee) Speaker of east Dubuque, Laurie (James) Rohner of Burlington, IA, Andrew (Pearl) Faulkner of Peosta, and Alexander (Mesha) Faulkner of Dubuque, 17 grandchildren and 6 great grandchildren and nieces and nephews. He was preceded in death by his daughter Angela DeWilfond, his parents and 2 brothers Richard and Warren. In lieu of flowers a Tom Faulkner memorial fund has been established. The family would like to thank Dr. John Wahlen and the staff at Tri State Dialysis for all the wonderful care they gave to Tom.